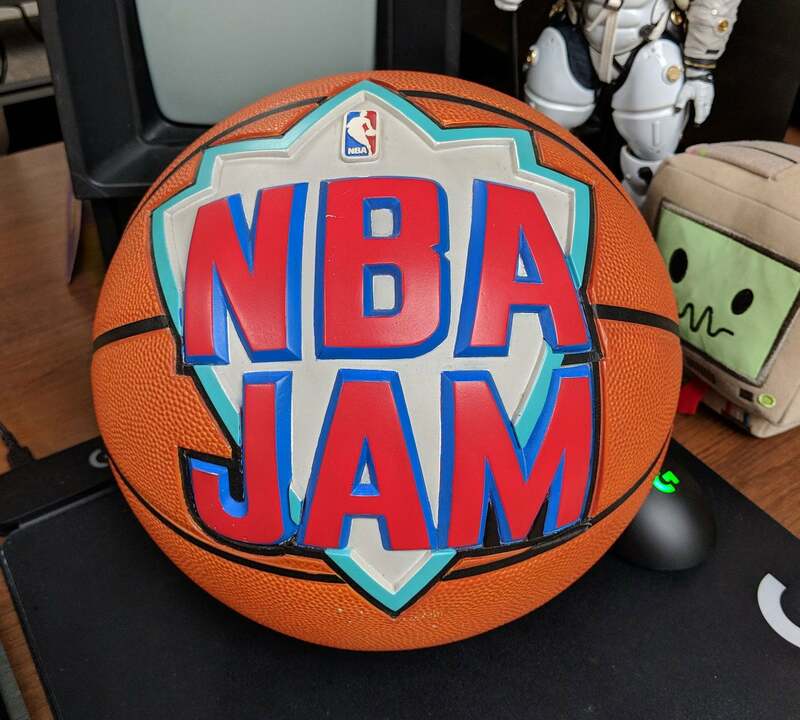 The iconic cover to NBA Jam, with its image of a logo-adorned basketball smashing through some paper, is not an illustration. It’s a photo, and this is the model, 25 years later. As trivial as this sounds, I had never even considered this possibility, so excuse my amazement at the wonders of early-90s promotional bootstrapping. I only know this now because historian and collector Steve Lin managed to get hold of the thing in an auction, and I’m in absolute awe at the condition it’s still in after all these years. It’s not an actual working basketball—it’s a full-scale resin model—but still. Lin plans on putting it in the one place it deserves to be: a museum.